This giveaway is now closed. Thank you for participating and making it so exciting! The large bag goes to No. 200 Jennifer! And the small bag is for No. 39 Meeling! Today I am proud to introduce Nikki Shipard, the slow living, sustainable and earth-friendly designer, creating one-of-a-kind eco and organic handmade products through the artful process of block printing which produces one of a kind, unique prints that match perfectly with the organic and wholesome nature of her end products. 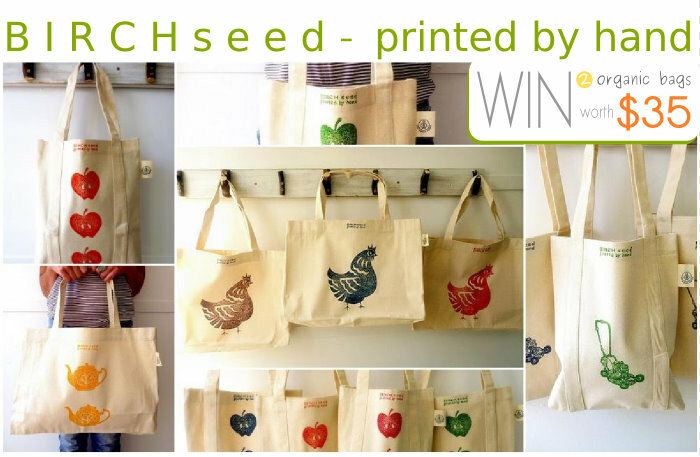 If you are attracted by eco-friendly handmade products, I am sure that somewhere on the Internet you have caught a glimpse of the apple that has become a symbol of BIRCHseed - the Australian-based workshop where Nikki does her organic magic. I've been in love with all BIRCHseed designs for months now! The charming naive figures that Nikki block-prints by hand exude the warmth and attractive imperfection that only hand-made has to offer. As she says in her stylish blog, the inks that she uses are 100% solvent free, water-based and non-toxic, i.e. friendly towards the environment and our health, and gentle enough for even babies to wear. Nikki also makes sure to seek Australian-made materials or suppliers for the textiles and printing materials she uses. 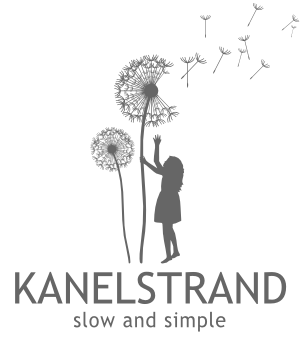 Today, Nikki has not one, but TWO awesome prizes for TWO eco-minded Kanelstrand readers! Yes! Two of you have the chance to win the Rolls Royce of organic cotton bags - reusable, sustainable and eco-friendly - the greenest and most unique shopping bags of them all! The large bag measures approximately 17 inches (43 cm) wide, 12,60 inches (32 cm) high and 4,33 inches (11 cm) deep - a great size for a grocery shop or a beach bag or just an every day kind of bag. The small bag measures approximately 11,40 inches (29 cm) wide and 12,20 inches (31 cm) high at the top and 9,9 inches (25 cm) wide at the bottom - a great size for a quick shop, a couple of bottles of wine or even as a kid's library bag. To enter this giveaway just follow the Rafflecopter widget step by step and you're done! In bold are the mandatory entries you have to complete in order to enter this giveaway. To increase your chances of winning, go ahead and complete all of them! Just make sure you leave your email/etsy/twitter/facebook account every time you are asked to! because.. green apples ar the best! Wonderful bags!! Loving the rooster one especially. Thanks for hosting Sonya!! Thanks for the chance to win. This is a great giveaway! I love tote bags, and these are so unique! Crossing my fingers to win one!!! 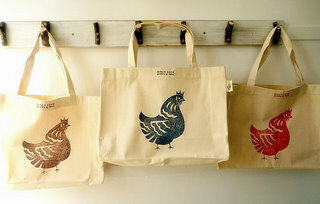 I have become obsessed with having some backyard chickens and just love red so I am crazy for that red chicken bag!!! *CRAZY* in love! fellow etsy blog team mate. those bags are fab! I really adore the hand printed Cookie bag...its is just adorable. I love the pea pod and chicken prints they would be great on tote bags. My fav is the Organic canvas shopping bag - handprinted '2 TEAPOTs' in orange! I like this Chookie shopping bag, roosters are really fun! 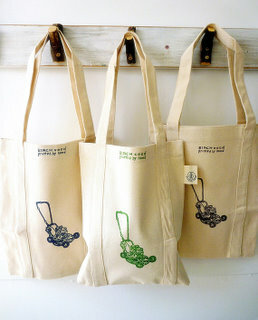 Organic canvas tote - handprinted 'PEAS' in green! Struggled choosing this over the teapots but these are too cute! I love tea, so I would pick the organic canvas shopping bag - handprinted '2 TEAPOTs' in yellow. So cute! Just saw this Giveaway and they are wonderful! I love the Organic canvas tote - handprinted 'Apples' in red! I like the Organic canvas tote - handprinted 'Apples' in red because it is cute & useful. I would use it when I go shopping, it would remind me to buy more fruits and carry them in my cute tote. i love the organic fabric button - flower blockprint by hand, because they are fun! I like the shopping tote with the blue "chookie"
I love the green apples because they're perfect for fall. Do I have to pick just one item, I love them all! Ok, I guess my favorite is the organic bag with the apples on it. Not sure which color, they are all fabulous! My favorite item is the "Organic canvas tote - handprinted 'Apples' in red." I LOVE this bag because it reminds me of my younger school years with a country feel. I love the Organic canvas shopping bag - handprinted 'CHOOKIE' in blue! Handprinted 'CHOOKIE' in brown bag is my favorite. My mom would love it because her kitchen is all roosters and chickens. I adore those chicken bags! Thanks for the lovely giveaway! I just love the hand printing! My favorite item is their Organic PEAS baby bib because it's the cutest thing I've ever seen and I know it would come in handy. I love the grey chicken! I liked everything in your shop, but your totes are definitely my favorite! It's a toss up between the apples or the lawnmower!